Every so often, Rahul Sharma goes to a cellphone store and acts as a salesman. It isn't something he needs to do, but it's helped him build Micromax into one of the world's biggest smartphone manufacturers. "I sell every phone, whether it is Micromax or any other competitive brand," the Micromax founder and CEO told CNNMoney in an interview. "Just to understand what exactly the consumers are looking for." Having a strong grasp of what customers want is a key part of Micromax's efforts to take on foreign competitors such as Samsung (SSNLF) and China's Xiaomi in India's booming market. "People in India need Indian flavor," the 40-year-old entrepreneur said. "People want products that will solve the problems in their day-to-day lives." Sharma and three college friends founded Micromax as a software company in 1999. But it was the desire to fix a problem that catapulted it into the cellphone market nine years later. While traveling through a remote village in West Bengal, Sharma came across an old man using a truck battery to power the village payphone. Since the man's own village had no electricity, he would take it to a neighboring village on his bicycle to charge it overnight. "And that's how the first Micromax phone was born -- with one month of battery backup," Sharma said. The first phone was a simple device with an optimized battery that could last 30 days on a single charge. He and his partners were nervous about plunging into a market that was already crowded with big foreign brands including Nokia, Samsung and Motorola. They didn't have to be: The 10,000 phones they made sold out in 10 days. "That was the 'Aha!' moment," he said. "We realized there is massive potential in this country." 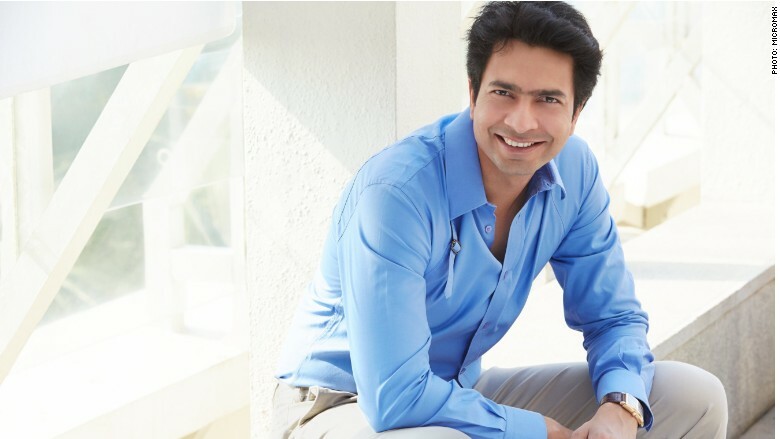 As CEO of Indian smartphone maker Micromax, Rahul Sharma wants to take his company into the world's top five. 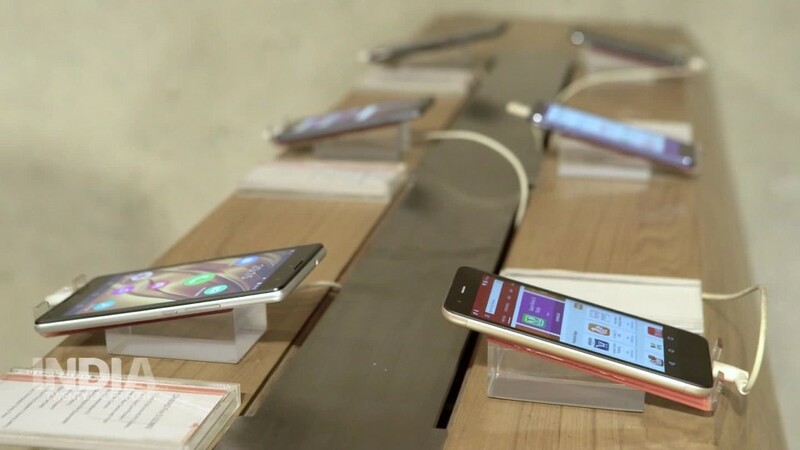 The company's affordable phones, packed with features tailored to groups of users, have enabled it to grab a bigger share of the Indian market than any competitor, except for South Korean giant Samsung. Micromax is currently the 10th-largest cellphone maker in the world, according to technology research firm Gartner. The Indian company has also begun exporting to countries such as Bangladesh, Sri Lanka, Nepal and Russia. Sharma has set his sights on climbing even higher up the global sales rankings. "In the next five years we want to be in the top five in the world," he said. Those spots are currently held by Samsung, Apple (AAPL) and three Chinese brands — Huawei, Oppo and Xiaomi. Catching up with them is easier said than done. The Chinese companies are aggressively expanding in India. The latest figures from research firm IDC show Micromax slipping behind Lenovo (LNVGF) (which also owns Motorola) and barely ahead of Xiaomi. Newer local brands are also gaining ground, looking to beat Micromax at its own game. 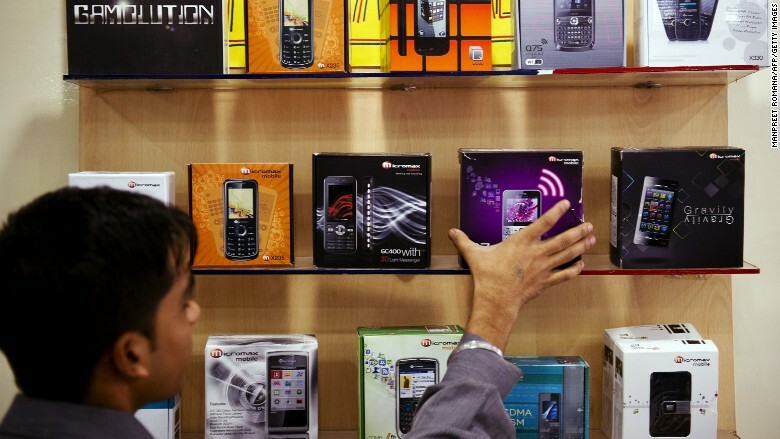 India is the world's second largest cellphone market, with more than one billion mobile users, and demand for more sophisticated devices is growing fast. The number of smartphone subscriptions is expected to rise from roughly 220 million to 810 million by 2021, according to a recent report by telecoms firm Ericsson. And nearly 80% Indians still aren't connected to the Internet, a gap that internet giants Google (GOOGL) and Facebook (FB) would dearly like to help bridge. India's richest man also entered the fray two months ago, debuting a service with free 4G subscriptions until the end of the year. Apple, meanwhile, may soon be able to open its own stores in India as foreign investment regulations are relaxed. But Sharma is confident that his company is best placed to tap into the needs India's consumers. "The mission of Micromax has always been to democratize technology," he said.